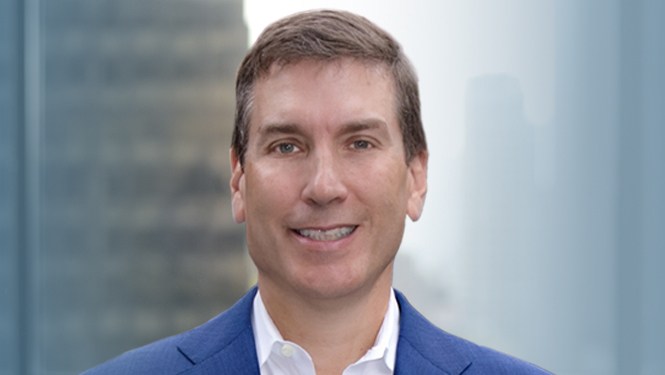 Paul J. Taubman is the founding partner, Chairman and Chief Executive Officer of PJT Partners Inc., a global, advisory-focused investment bank. Prior to founding the predecessor firm to PJT Partners Inc., Mr. Taubman briefly advised clients in an individual capacity where, in less than a year, he advised clients on $220 billion in announced transactions. In October 2014, The Blackstone Group announced that it would spin off its advisory businesses and merge them with Mr. Taubman’s PJT Partners. The newly combined company was formed and began trading on the NYSE on October 1, 2015 as PJT Partners Inc.
For nearly 30 years Mr. Taubman was at Morgan Stanley where he served in a series of increasingly senior positions including executive vice president and Co-President of Institutional Securities, with responsibility for all of the firm’s investment banking, capital markets, and sales and trading businesses. Prior to becoming Co-President, Mr. Taubman was Morgan Stanley’s Global Head of Investment Banking and Global Head of Mergers and Acquisitions. Mr. Taubman serves in a leadership role on numerous philanthropic efforts including Board President of New York Cares, New York City’s largest volunteer organization; Board Member of the Partnership for New York City; Advisory Council member at the Stanford Graduate School of Business; Trustee and executive committee member of Cold Spring Harbor Laboratory; National Advisory Board Member of Youth, Inc.; and Trustee of the Foundation for Empowering Citizens with Autism. Mr. Taubman received a BS in Economics from the Wharton School of the University of Pennsylvania and an MBA from Stanford University’s Graduate School of Business. 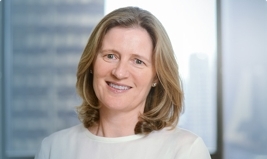 Helen Meates is a Partner and Chief Financial Officer of PJT Partners, based in New York. Prior to joining PJT Partners, Ms. Meates worked at Morgan Stanley for 22 years, most recently serving as a Managing Director. Ms. Meates spent the majority of her career at Morgan Stanley in Global Capital Markets, including nine years in Leveraged Finance. In 2011 she was appointed as Deputy Head of Global Capital Markets and co-Chair of the firm’s Capital Commitment Committee. In November 2013 she assumed the role of Global Chief Operating Officer for the Research Division and was appointed to the Institutional Securities Operating Committee. Ms. Meates also served on the firm’s Institutional Securities Risk Committee, Microfinance Advisory Board and Diversity Committee. Ms. Meates serves on the boards of the SMA Foundation and the Bridgehampton Chamber Music Festival. She received a law degree (LLB) from Canterbury University in New Zealand and an MBA from Columbia Business School. 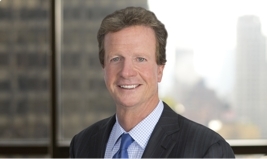 James Cuminale is a Partner and General Counsel at PJT Partners, based in New York. Prior to joining PJT Partners, Mr. Cuminale was Chief Legal Officer at Nielsen Holdings N.V. Previously, Mr. Cuminale served for over ten years as the Executive Vice President – Corporate Development, General Counsel and Secretary of PanAmSat Corporation and PanAmSat Holding Corporation. He currently serves on the Board of Trustees of Trinity College and the Board of Advisors at Vanderbilt University Law School. Mr. Cuminale received a BA degree from Trinity College and a JD from Vanderbilt University Law School. 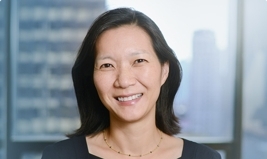 Ji-Yeun Lee is the Managing Partner of PJT Partners, based in New York, having joined its predecessor company as one of the Founding Partners in early 2014. Previously, Ms. Lee was Managing Director and Deputy Head of Global Investment Banking at Morgan Stanley. She joined Morgan Stanley in 1988 and spent most of her career in Mergers & Acquisitions, including six years in the firm’s London office, advising clients on a broad range of transactions across industries and geographies. Ms. Lee was appointed the Deputy Head of Global Investment Banking in 2007 and joined Morgan Stanley’s Management Committee in 2011. Ms. Lee also serves on the Board of Directors of Good Shepherd Services. She received a BA degree from Amherst College. 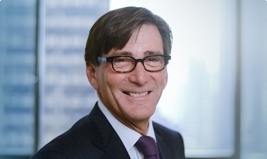 Dennis S. Hersch is President of N.A. Property, Inc., through which he has acted as a business advisor to Mr. and Mrs. Leslie H. Wexner since February 2008. He was a Managing Director of J.P. Morgan Securities Inc., an investment bank, from December 2005 through January 2008, where he served as the Global Chairman of its Mergers & Acquisitions Department. 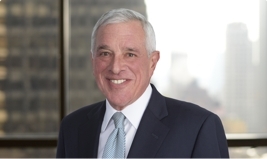 Mr. Hersch was a partner of Davis Polk & Wardwell LLP, a New York law firm, from 1978 until December 2005. Mr. Hersch has served as a director of L Brands, Inc. and a member of the Finance Committee since 2006, and was a director and Chairman of the Nominating and Governance Committee of Clearwire Corporation from November 2008 until June 2013. 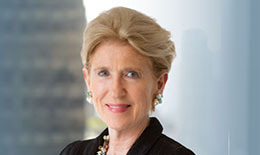 Emily K. Rafferty is President Emerita of The Metropolitan Museum of Art. She was elected President of the Museum in 2005 and served in that role until her retirement in March 2015. She had been a member of the Museum’s staff since 1976 serving in various roles in development, membership and external affairs until becoming President and Chief Administrative Officer in 2005, overseeing some 2,300 full- and part-time employees. Ms. Rafferty’s global experience in some 50 countries on behalf of the Museum included interactions and negotiations with many senior world leaders. Ms. Rafferty served as a Board member of the New York Federal Reserve Bank from 2011 to 2017 (Chair, 2012 to 2016), and Senior Adviser for Heritage Protection and Conservation for UNESCO from 2015 to 2017. She continues to serve as Chair of NYC & Company (the city’s tourism, marketing and partnering organization) and Board member of the National September 11 Memorial & Museum. She consults for many organizations, including Russell Reynolds Associates in the firm’s nonprofit practice and The Shed, a performing arts center under construction in Hudson Yards. She is a Board member of Carnegie Hall, a Board member of Koç Holding, Istanbul, a member of the Advisory Council of the American University of Beirut, a member of the Economic Club and the Council on Foreign Relations. Kenneth C. Whitney has managed a private family investment office since April 2013, focused on startup businesses and entertainment projects. Since his retirement from The Blackstone Group L.P. in April 2013 until September 2015, he was also a Senior Advisor to Blackstone. 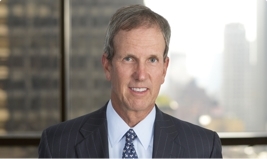 Mr. Whitney was previously a Senior Managing Director and Head of Blackstone’s Investor Relations & Business Development Group from 1998 to April 2013. After joining Blackstone in 1988, Mr. Whitney focused his efforts in raising capital for Blackstone’s private investment funds and the establishment of Blackstone affiliates in the alternative investment area. Mr. Whitney began his career at Coopers & Lybrand in 1980, where he spent time in the firm’s accounting and audit areas as well as in the tax and mergers and acquisitions areas. Mr. Whitney is a Tony Award-winning producer and currently sits on the Board of Trustees for The First Tee and the University of Delaware, where he received a BS in Accounting. Thomas M. Ryan is the former Chairman and Chief Executive Officer of CVS Health Corporation, formerly known as CVS Caremark Corporation, a pharmacy healthcare provider. He served as Chairman from April 1999 to May 2011. He was Chief Executive Officer of CVS from May 1998 to February 2011 and also served as President from May 1998 to May 2010. Mr. Ryan serves on the board of Five Below, Inc., and is an Operating Partner of Advent International. Mr. Ryan was a director of Yum! Brands, Inc. from 2002 to 2017, Reebok International Ltd. from 1998 to 2005, Bank of America Corporation from 2004 to 2010, and Vantiv, Inc. from 2012 to 2015. James Costos served as the U.S. Ambassador to the Kingdom of Spain and Principality of Andorra from August 2013 to January 2017. Prior to his appointment, Mr. Costos was Vice President of Global Licensing and Retail for Home Box Office (“HBO”) from 2007 to 2013. In this role, he was responsible for leading HBO’s newly created global licensing, retail and marketing division, which he established to further expand HBO’s domestic and international interest. 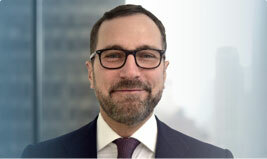 He has also served as President and CEO of Eight Cylinders, Head of Promotions and Consumer Products at Revolution Studios and held senior roles for more than a decade at Hermès of Paris and Tod’s S.p.A. Mr. Costos previously served on the board of directors of the Humane Society of the United States, the country’s largest animal protection organization. He is also a passionate supporter of several cultural and humanitarian organizations, including the Santa Monica Museum of Art and the Human Rights Campaign. Mr. Costos earned his B.A. in Political Science from the University of Massachusetts.